Elliott Gould — The Man/Kind Project, Inc.
Man/Kind founder Richard Stellar (left) walking the halls of the then beleaguered Motion Picture Home with actor Elliot Gould. "When he came on board, it was like game over. There was no way we could have lost our fight to keep the elderly residents of the long term care center in place." 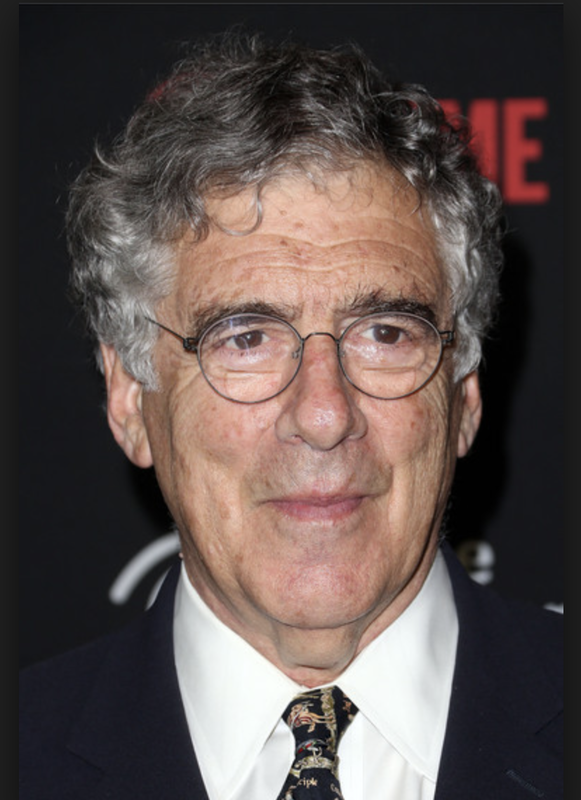 As an actor, Elliott Gould is an iconic presence. Having starred in films such as Robert Altman’s M*A*S*H, The Long Goodbye and California Split - as well as being nominated for the Academy Award for Best Supporting Actor in the comedy Bob & Carol & Ted & Alice, Elliott has the uncanny ability to morph into his roles seamlessly. Mike Hale of The New York Times described Elliott’s performance as private eye Philip Marlowe in The Long Goodbye as ‘eccentric, loopy, intensely likable…’. Elliott has taken on challenging roles in movies that have spanned every known genre. He became known to a new generation of viewers thanks to his portrayal of Jack Geller, the father of Courteney Cox and David Schwimmer on ‘Friends’, and his unforgettable role as Murray in American History X made audiences cringe during the dinner scene with Edward Norton, ending with his advice to Norton’s mother: “Doris, you don’t know the world your children are living in’. As an activist, Elliott has championed causes and inspired social change in the world that our children are living in. When the edict came down to end long term care services for the elderly residents of the Motion Picture Home’s fabled Long Term Care Unit, Elliott provided guidance and helped to legitimize the actions of those who fought to keep the doors open - resulting in a victory that insured long term care for motion picture and television industry elderly. Elliott’s work with Holocaust survivors and Jewish causes has positioned him as a real ‘macher*’ who gets it done. Having been bestowed with the Freedom of Expression Award, it is only one of the tributes and accolades that Elliott has received for his generous participation and leadership in social causes.